Badge of Honor Association provides financial and emotional support to children and honors the parent that made the ultimate sacrifice. Support is currently provided to to 16 families and 34 children across Western and Central New York. Each holiday season, three regional holiday shopping events are held in Buffalo, Rochester and Syracuse for the children of fallen Officers. Volunteers and Officers bring the children of the fallen on a special shopping trip and end the day with a luncheon. The annual Darien Lake weekend retreat is held for the families of fallen Officers. 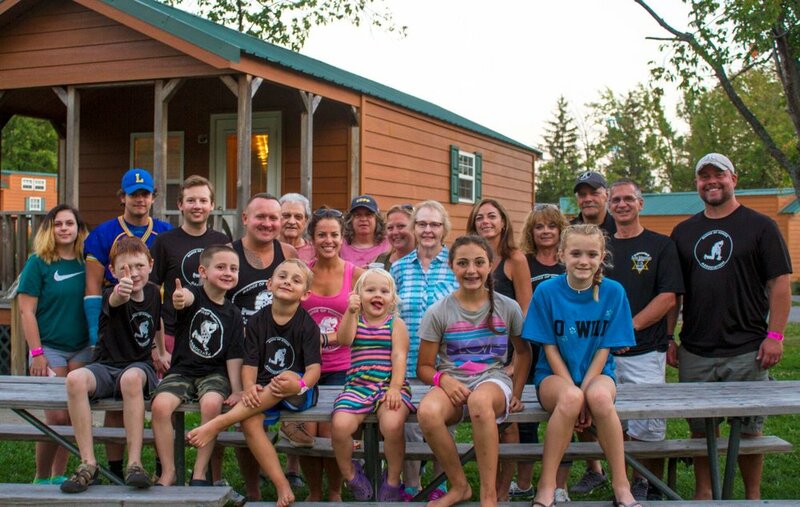 Attended by BOHA volunteers and the families of the fallen, this annual summer event includes a two-night stay at Darien Lake cabins, admission to the park, and a cook out for all attendees. With its Books & Broad program, Badge of Honor provides financial support to the children of fallen Officers within the coverage area who attend a four-year New York State University. Through Books & Board, Badge of Honor funds the housing and books each semester for up to four years.